Bonjour! 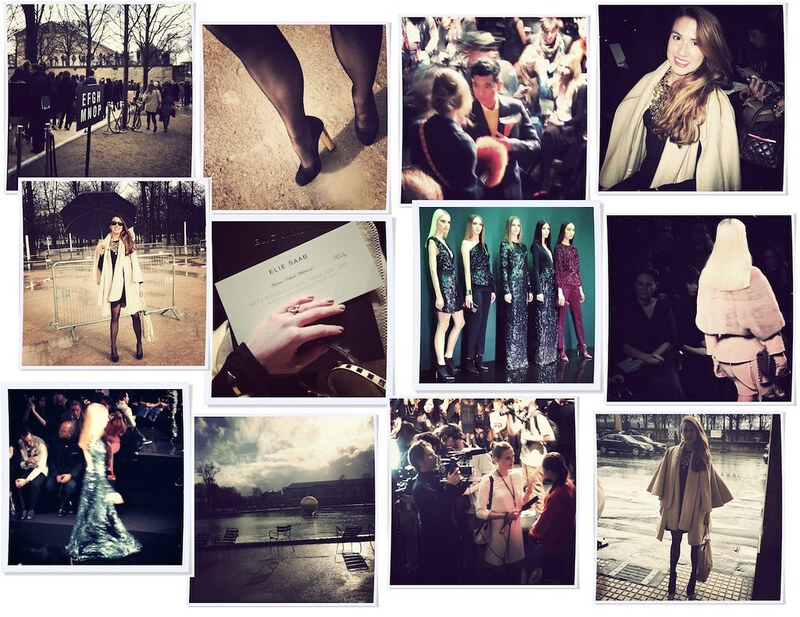 One of my favorite show during PFW (after only been twice) is Elie Saab in the tents of Jardin des Tuileries. Going there is simply a wanderlust for the eyes. Speaking of the show the color alert was obvious: emerald, powder pink, burgundy and flower prints on black – something that entered the collection last season which I really like since it gives the collections a natural overlap from one season to another. Besides from the drop dead gorgeous gowns with their super high slits and sequin parade we could definitely hint a more cocky grown up woman in her power fur and dress pants. I wouldn’t mind the pink fur cape on the collage.